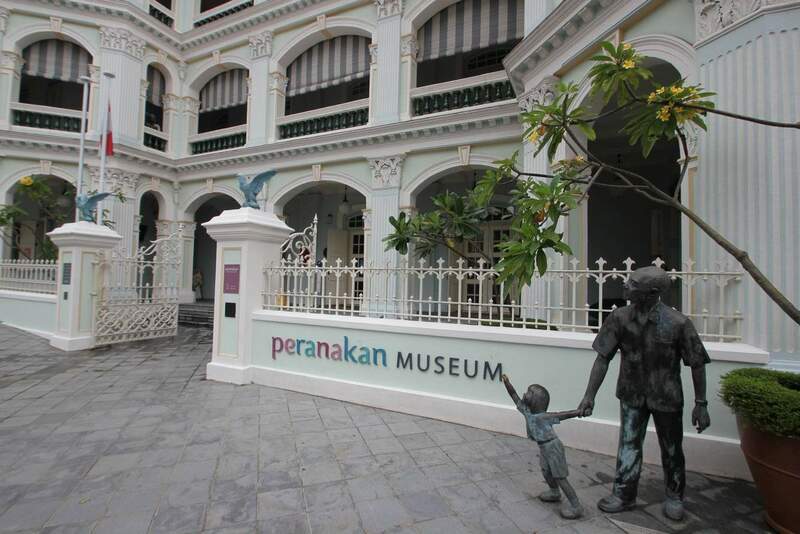 Peranakan Museum is a vibrant attraction tucked away in Singapore, right near the famous Fort Canning Park. 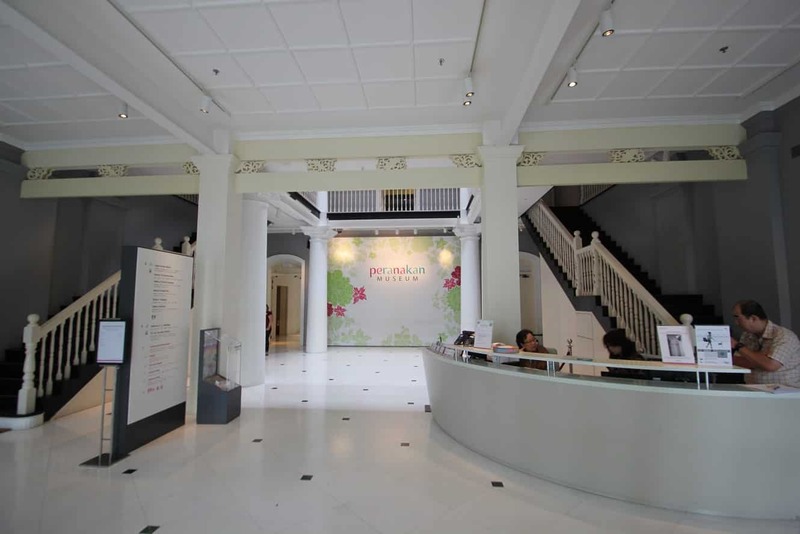 One of the most interesting locations to visit for history lovers, the museum explores and preserves Peranakan cultures in Singapore as well as in parts of Asia. The museum is housed in the Old Tao Nan School Building, a significant location as the building also has a rich heritage. The construction of the building began in 1910 and was completed two years later. One of the most charming things about this building is its ‘eclectic classical’ style. Look out for its fluted columns and perfect symmetry which is befitting of its architectural style. The balconies bring to life a colonial style that compliments the columns. 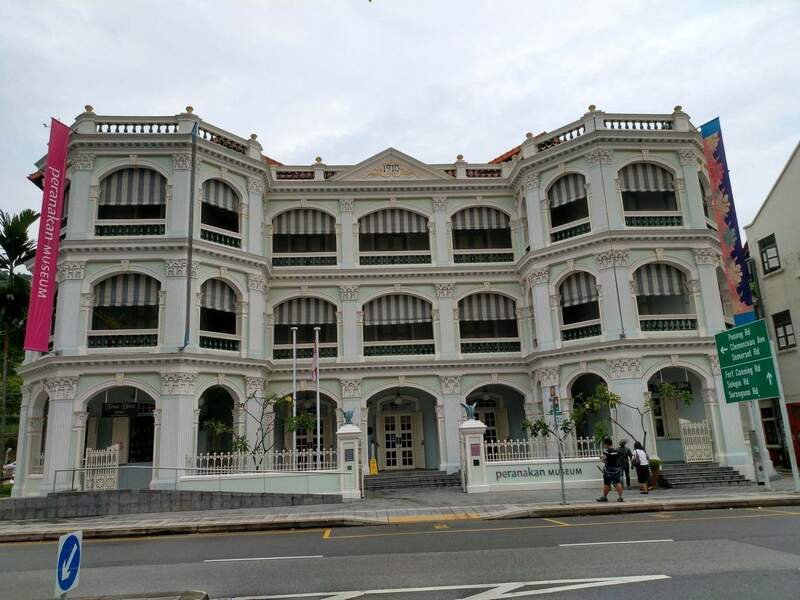 Overall, the building’s layout borrows heavily from bungalows in the Straits Settlements during this era. Initially, the building was meant to provide a space where Chinese lessons were taught alongside practical courses such as drawing, singing and arithmetic. Over the years the courses at Old Nan changed, but they came to an abrupt end at the start of the Second World War in 1942. 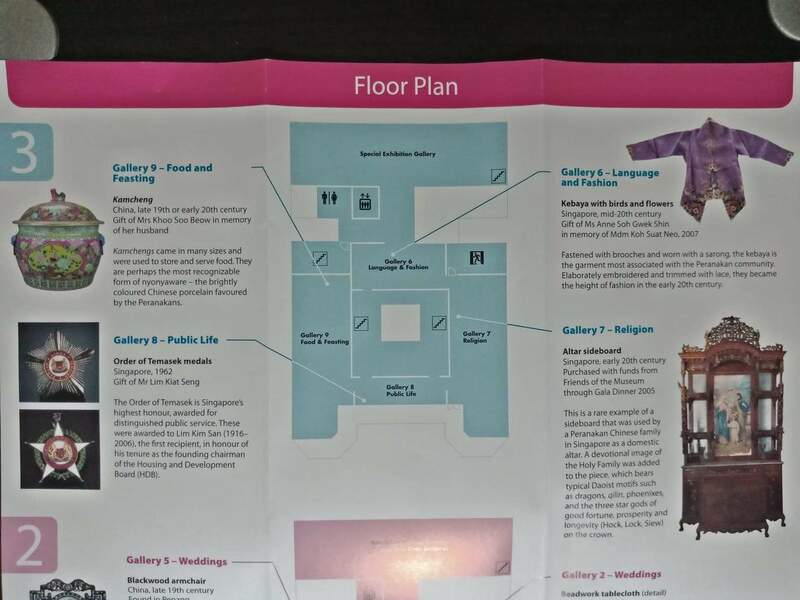 After the war, increased enrolment created the need to move the school and, in 1982, the building was given up to allow exhibitions on different aspects of Chinese Culture. 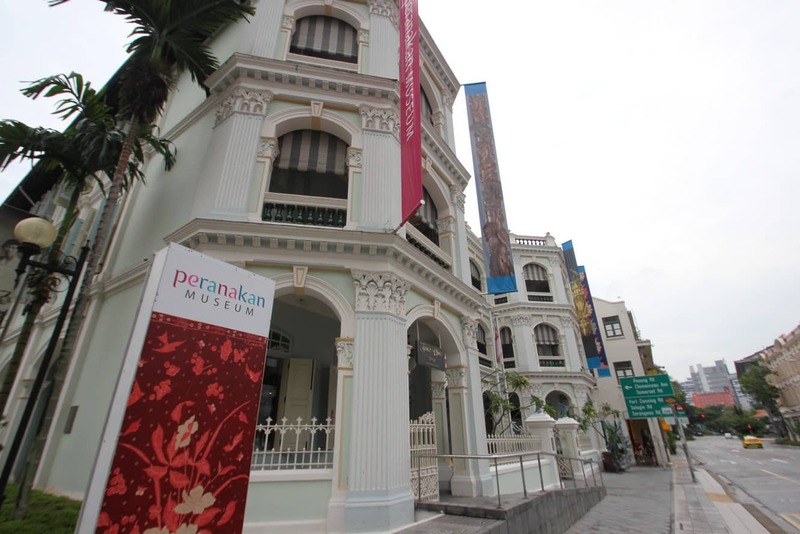 Today, the building houses the colourful Peranakan Museum. 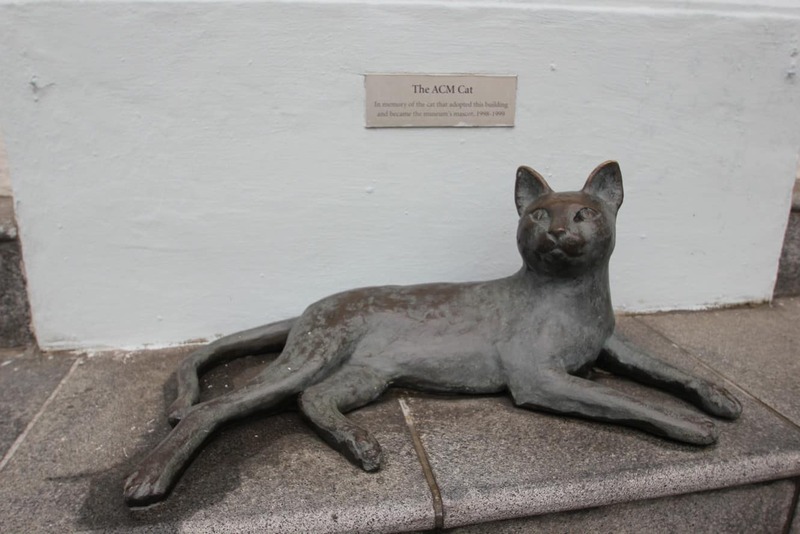 For a building with such a rich history, a visit to the museum feels like taking a walk back in time. 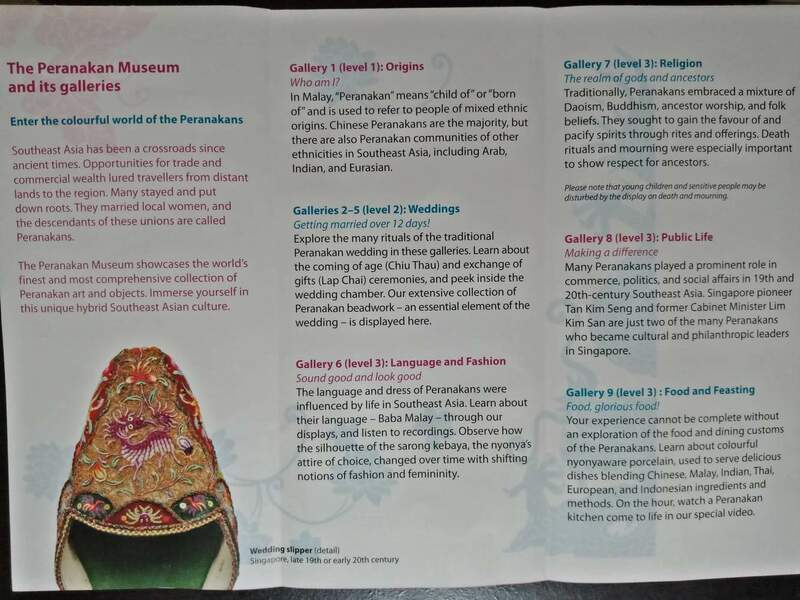 Look out for the Peranakan artefacts spread across the 10 permanent galleries. 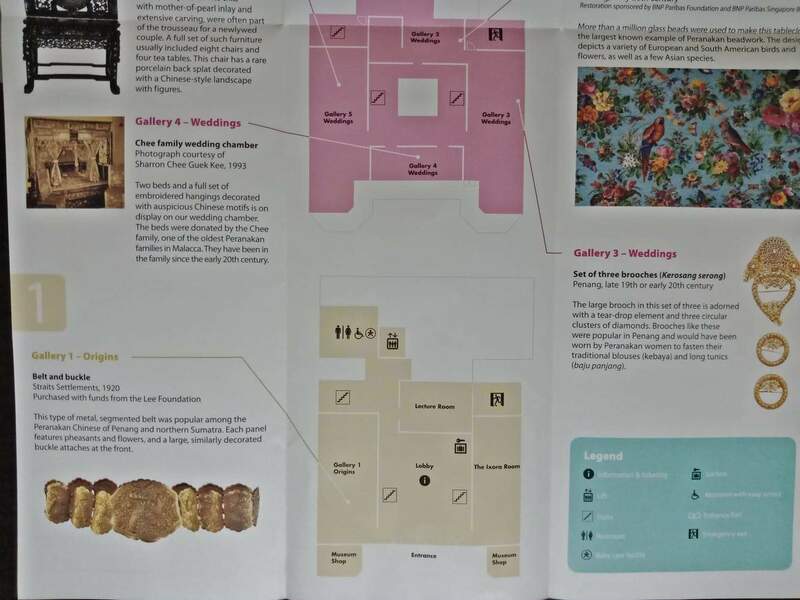 Artefacts range from ancient jewellery that Peranakans wore to furniture made and even textile fabric used. 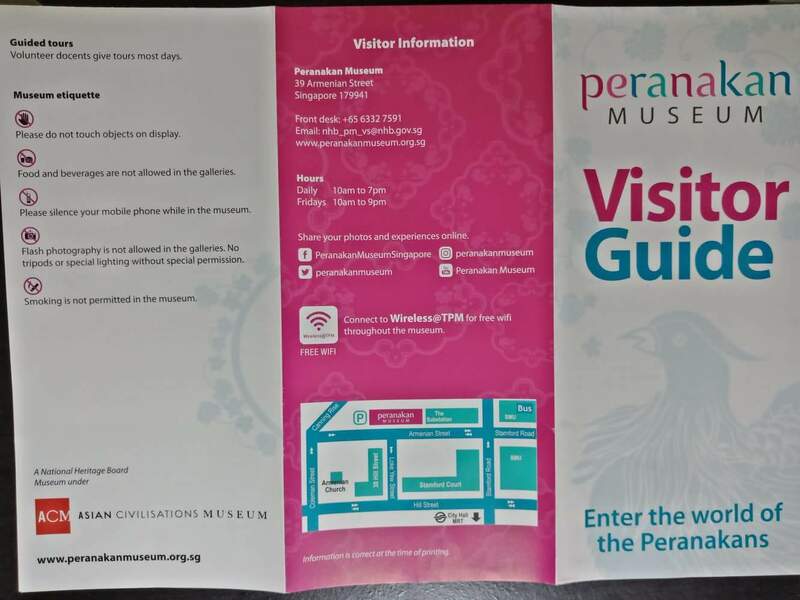 In addition to these exhibitions, there are also hands-on exhibits that explore hybrid culture in parts of Asia, combining the best of Indian, Malay and Chinese aspects. 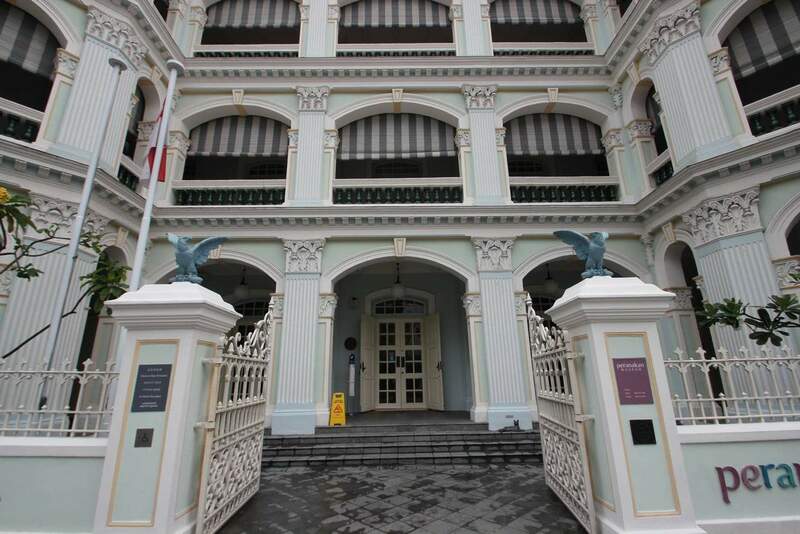 Do not miss out on the intricate 12-day Peranakan wedding! Photography without flash and videography are permitted with handheld cameras in the main galleries. 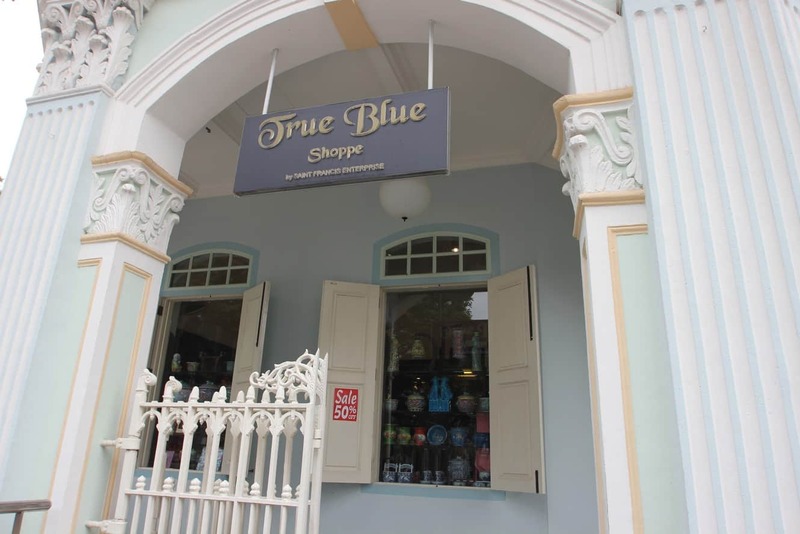 Come past for a visit on your next trip to Singapore! 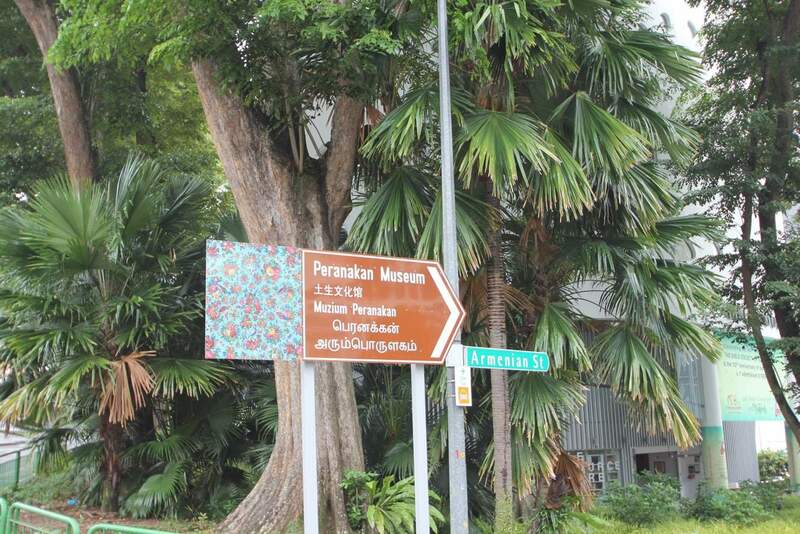 You can get here by taking the MRT and alighting at City Hall and Bras Basah Station. May I ask if it’s true that seniors (even overseas visitor seniors) can visit the Museum free of charge on Mondays, and there’s free admission for everyone between 7 and 9PM every day of the week? 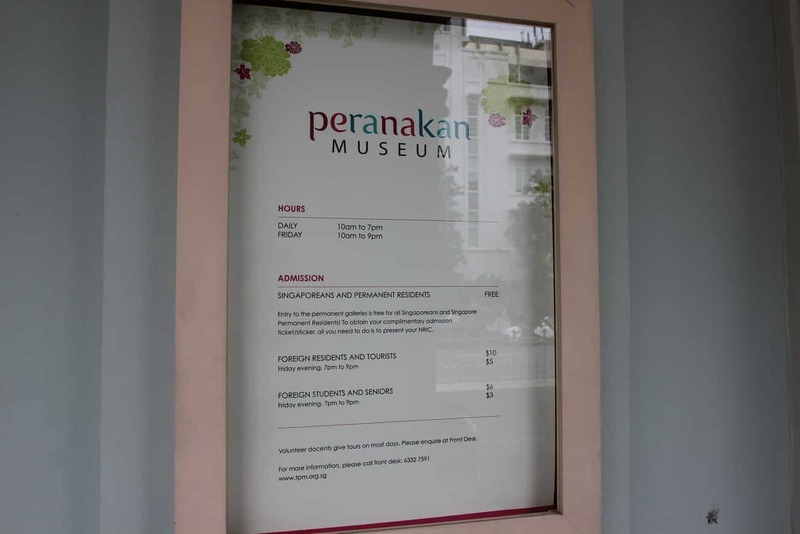 The Peranakan Museum website states that Singaporean Citizens, Permanent Residents and visitors aged 6 years & below enjoy free admission to the permanent galleries. Seniors appear to fall under the Concession category of tickets and a valid pass or card must be presented at the Visitor Services counter to enjoy concession admission. Concession prices are applicable for seniors aged 60 (born in 1957 or before).